Milton FFA takes team title; Mell is top individual. The Central National FFA Judging Contest drew the largest field of participants of all judging events at World Dairy Expo. One hundred twenty-two full teams representing six states including Wisconsin, Iowa, Illinois, Missouri, Ohio, and Connecticut judged on Tuesday morning. With 364 students, the contest was held in two heats, one in the early morning and another later in the morning. Sydni Mell of DeForest FFA was the high individual. She dropped only 8 points on three classes and earned a 40 on the TAQs, for at total of 234 points. Gwen Boettcher is her DeForest FFA advisor. Placing two points behind and in second was Seth Haldiman of Milton FFA. Third individual was Jesse Schmidt from Hartford FFA. He had 230 points. Zach Fischer, River Ridge FFA, was fourth with 229 points. 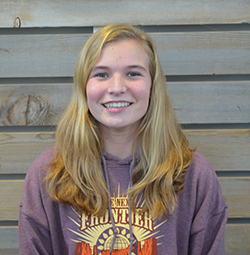 Brooke Welke, Osseo-Fairchild FFA, rounded out the top five with 228. 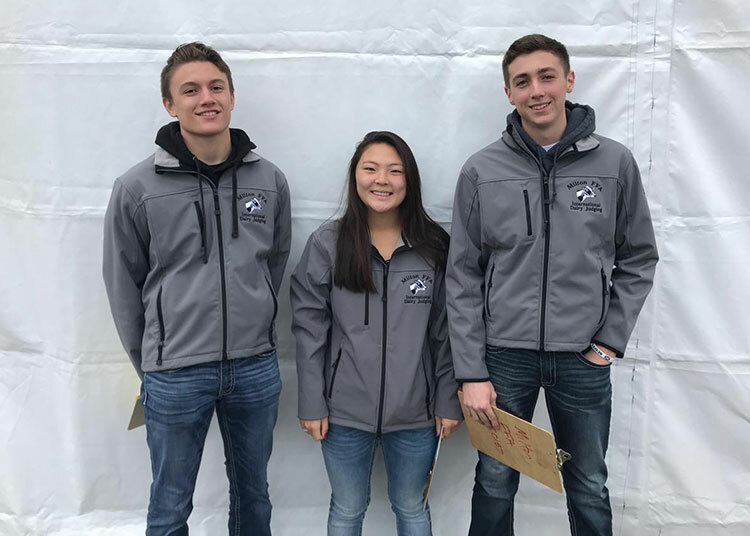 Winning Team: Milton FFA: Seth Haldiman (2nd individual), Emma McNally, and Cole Kudrna. Their FFA advisors are Stacy Skemp and Matt Lee. They are coached by Kristin Paul. The top team, Milton FFA, had a four-point advantage over Connecticut’s Nonnewaug FFA. This Connecticut team definitely earned the award for farthest distance traveled! It was tight from there, with Marshfield FFA with 647 points, Auburndale FFA earned 646 points, and Ohio’s Northwestern Wayne FFA had 637 points, placing them fifth. Second-placeTeam: Nonnewaug FFA: Claire Delohery, Hayley Gillette and Taylor Wilkes. They are coached by advisor Bill Davenport. The high schools students evaluated four classes of dairy cattle and answered a few questions on the classes. Those TAQs, as they are called, include inquiries such as, which cow was the best uddered, which had the weakest pasterns, and so forth. For this contest, TAQs are a substitute for oral reasons. The University of Wisconsin-Platteville organizes the Central National FFA Judging Contest at World Dairy Expo. Click on this link to get complete results. 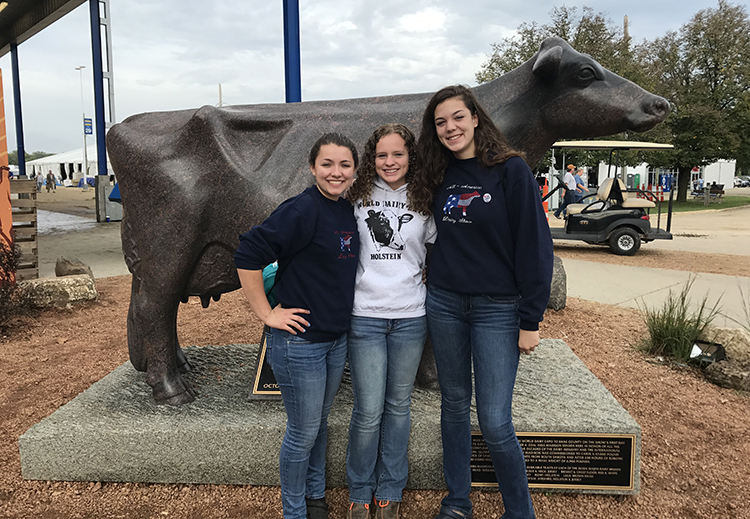 Following the contest, FFA members took in the dairy shows, walked through the trade show, and visited with other FFA members from across the Midwest.